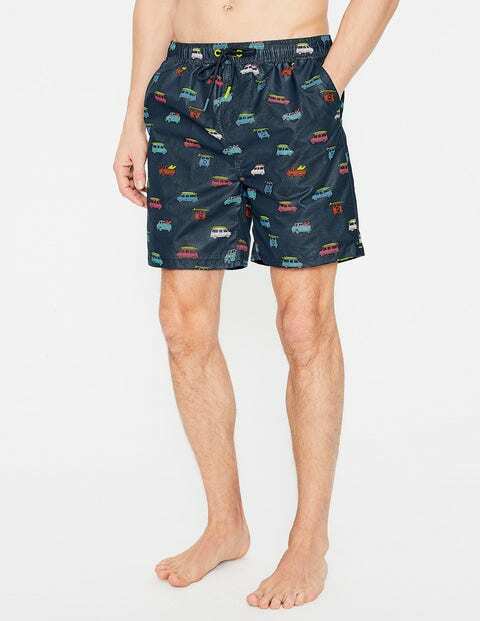 Crafted from clever lightweight fabric, these swimshorts dry in minutes, so you can take a dip and hit the boardwalk straight after. The mesh lining is made for comfort and we've added a functional drawcord, internal coin pocket and key loop. Choose from our range of prints designed in-house for a pop of colour by the pool.